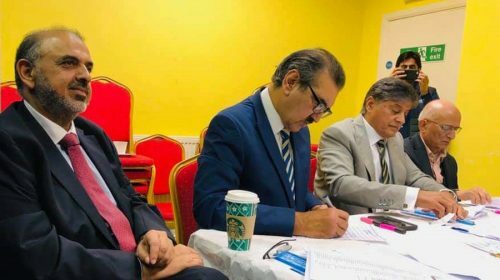 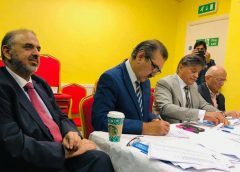 London: A grand celebratory reception was organised by the social and political representatives of the Slough and High Wycombe community. 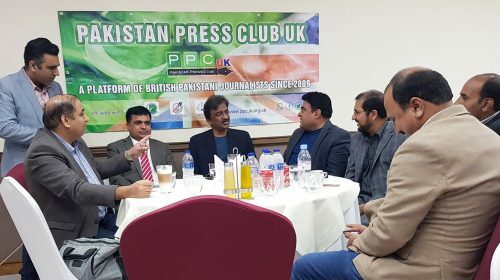 A lavish banquet was laid out in honour and recognition of the newly elected members of the Pakistan Press Club UK. 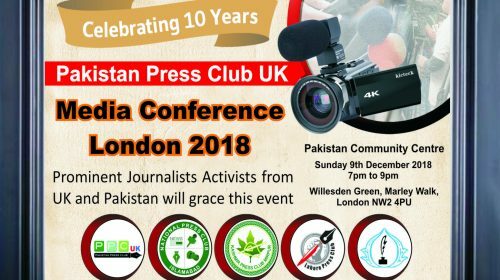 The stage was set for keynote speakers to address those who had travelled from around the country to attend an evening marking a new dynamic approach to journalism within the field of the Pakistani media industry. 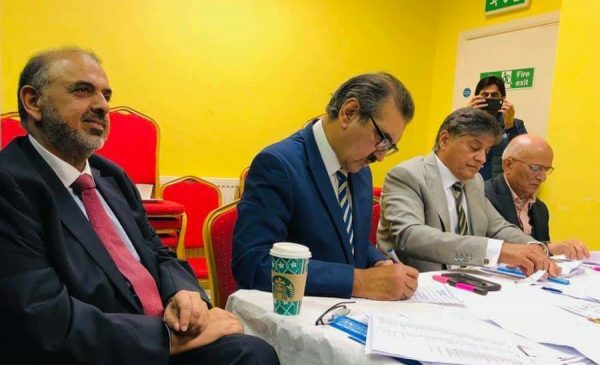 The guest list included: Former Mayor councillor Raja Zia Ahmed, Former Deputy Mayor councillor Muzammil Hussain, Ch Mohammed Ayub, Pakistan Tehreek e Insaaf – President of South East London Rumi Malik, Former Chairman PYO UK Syed Shehzad Kazmi, President of PPP Greater London Miah Saleem, Raja Zafar Iqbal, Chairman of OPWC Naeem Abbassi, the Central President of OPWC Haji Abid Hussain, Naeem Tahir from AIHL, Master Raja Tasawar Iqbal, former deputy mayor Master Abdul Karim, Barrister Arman Alim, Ch Mohammed Ishtiaq, Ch Javed, Master Mohd Jameel, Ch Shahzad, are amongst many of those that attended. 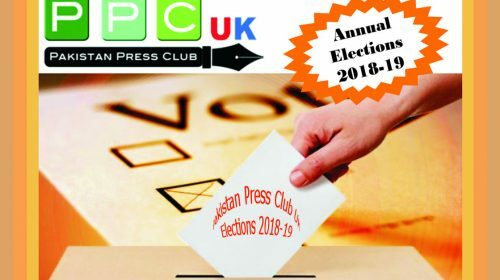 Mobeen Chaudhary the newly elected president of the Pakistan Press Club UK, in his keynote speech, highlighted the dual role, challenges and responsibilities facing journalists, he expressed the need for representing Islam, Pakistan and Kashmir in a positive manner, and directed everyone to ensure that these were given top news coverage. 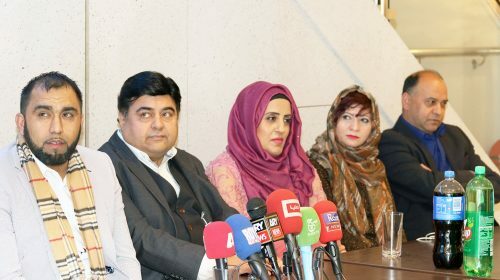 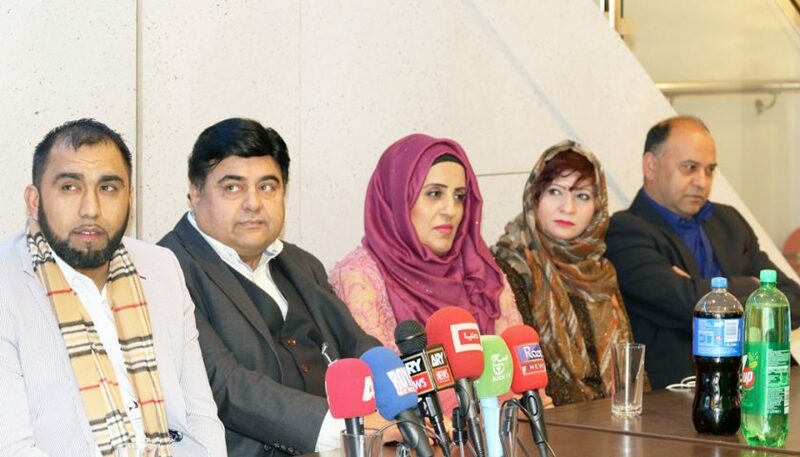 He also stated that UK based journalists to carry out their work in a responsible manner and uphold the values and standards of factual reporting on genuine issues of relevance to the overseas Pakistani communities. 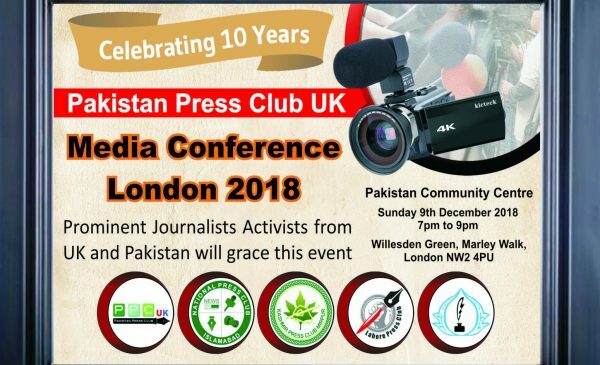 Other keynote speakers included Vice-president Mussarat Iqbal, Joint secretary Aftab Baig who also utilised the opportunity to address, the way forward for the media industry. 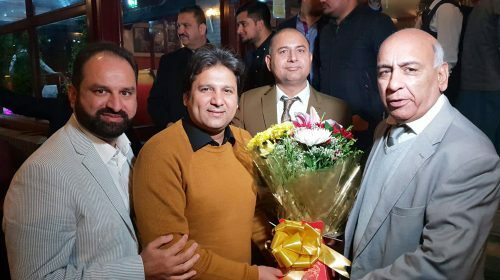 Finance secretary Kishwer Abbass, Secretary Information Imran Zahoor and other members including Sheraz Khan, Shaghofta Akhtar, Munsif Ch, Jameel Minhas, Ghulam Dastegar Khan also participated in the event with their presence and contributed towards a very entertaining and highly productive evening.